More people face paying the full price for their residential care after the government opted to freeze charging thresholds for a ninth year. The upper and lower capital limits, which determine who must pay the full cost of their care and how much others should pay from their assets, will remain at the same level in 2019-20 as they have done since 2010-11, the government announced last week. Threshold rates were 12% lower in real terms in 2018-19 than they were in 2010-11, a 2018 study into the problems of the current social care system by the Health Foundation, the Institute for Fiscal Studies, the King’s Fund and the Nuffield Trust found. Social care experts have warned that the government’s failure to increase financial thresholds could force more older people into hardship by requiring them to fund their care. 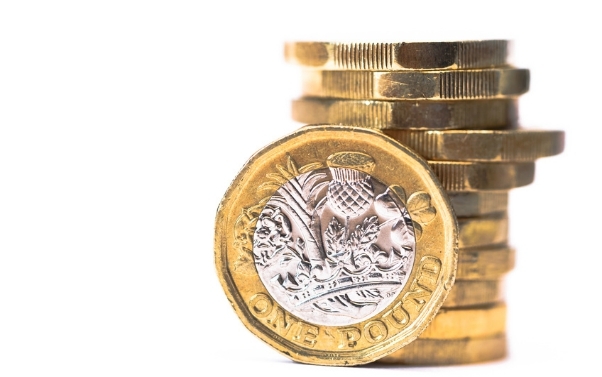 The Department of Health and Social Care last week issued its annual circular on charging for care and support, which specified that the lower and upper capital limits would remain at £14,250 and £23,250 respectively in 2019-20, meaning that individuals with less than £14,250 in assets (in most cases, including their home) do not have to pay for their residential care from their assets. Their fees are paid by their local authority, though such individuals must contribute to this from their income – including most state benefits and pension income but excluding any earnings – so long as they are left with a weekly personal expenses allowance (PEA) of £24.90 per week. This allowance could be used to pay for items, such as toiletries or reading materials. The PEA has remained at this level since 2015. If an individual has assets worth more than £23,250, the upper capital limit, they must pay the full cost of their residential care without help from the council. A person with assets between the capital limits must pay what they are obliged to from afford from their income, plus a means-tested contribution from their assets (calculated as £1 per week for every £250 of capital between the capital limits). Capital includes buildings, land, savings or shares, but the regulations around charging and financial assessment specifies that certain assets are disregarded, such as those derived from a personal injury award. Where a person owns their own home, this is generally taken into account when they are admitted to a care home as a long-term resident, unless the property is occupied by certain loved-ones or relatives. Senior fellow at the King’s Fund Simon Bottery called the decision to freeze financial thresholds for another year “policy making by inertia”. “Even in 2010/11, the thresholds weren’t generous and, essentially, by not raising them, and allowing them to drift down and not increase in line with inflation, the thresholds are gradually becoming less and less generous, or more and more mean depending on how you look at it,” he added. Bottery also said the government’s refusal to increase threshold rates was a “symptom of its failure to address broader social care policy” – a reference to its long overdue green paper on reforming funding. “Thresholds have been allowed to drift down in real terms at the same time as there’s been an almost total lack of decision about where we want to go with general social care policy,” he said. Increasing inflation rates also mean that individuals receiving the PEA have less spending power as the prices of everyday items increase. Director of policy and influencing at Independent Age George McNamara described the decision to freeze thresholds as “extremely bad news” for those relying on council-funded care. “The government’s decision to freeze social care threshold rates has put additional strain on a social care system that is already in crisis, isolating and forcing more older people into hardship. “There are huge benefits to an increase in thresholds [and] having more money in their pocket can make an enormous difference to an older person in a care home who has very little disposable income. Absolutely disgraceful..this Government is so busy mishandling Brexit and concentrating on outside Foreign affairs they have failed to address the failing social care system which has required fixing for far too long..i wonder how Mrs May, who always looks immaculate in her “power dressing” attire on her comfortable salary, would feel if a loved one was facing such a crisis..i’m sure it would be sorted pretty darn quick. As much as Id like to believe the government are too busy and concentrating on other things I dont. Reducing spend on social care means lower tax for the man in the street, lower Corporation Tax and a life lesson – self reliance is the way to succeed in life. Simple. The Tories are very clear about personal responsibility, they do not want to pay for the care of other people’s relatives. Ideologically they believe that you should pay for your own care and if you cannot pay then as in previous times before the welfare age, family should pay or provide care for their own older relatives. If they cannot do this as in in previous ages it was the workhouse followed by cruel and degrading conditions and then death. With greater longevity and more people surviving into great old age this problem will become more acute. Families who have wrongly assumed wealth will cascade through to the next generation via inheritence will now need to take action to avoid the state asset stripping their loved ones of virtually every penny they have including property. You can avoid this by planning 7 years ahead via transfer of property to your loved ones. The Local Authority must then prove that assets have been transferred to avoid charges which is difficult when such a long period of time has elapsed. You need to think smart otherwise your unlucky relative with dementia will be robbed by the state. Since needing residential care is a lottery it should of course be free at the point of need, however, with the Tories this will never happen. The Tories want low taxes and hollowed out public services which is what we now have. The direction of travel is clear private affluence and public squalor. You cannot cut corporation tax further and have decent public services. It is of course something of a lottery if you need expensive residential care and this is what makes the current system very unfair. If you have a long term health condition you will get support via the NHS but if you have dementia the state will not fund your care. Be smart most rich people put property into trust funds and offshore companies to avoid their loved ones being looted via the state, do the same, take responsibility and fight back using the loopholes left in the law to avoid paying. If you plan to wait for fair policies on paying you will never see them in your lifetime.